MISSOULA - Adeena L. Van Wagoner, 53, of Missoula, passed away Tuesday, Oct. 17, 2000, at Harborview Hospital in Seattle from injuries suffered in an automobile accident in Missoula on Monday. She was born on July 31, 1947, in Hamilton to Rene and Larry Zimmerman. 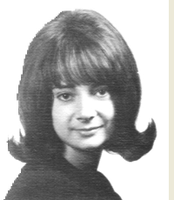 Adeena graduated from high school in Corvallis, Ore., in 1965. She received her licensed practical nurse accreditation from Seattle Community College in 1975. She was a resident of Southern California, where she was employed as an LPN. In 1987, she returned to Missoula and was recently employed at Kmart. Adeena was a gentle, kind and loving person who took pleasure in her family and her two cats. She enjoyed cooking and specialized in improvising. We shall miss her each day. Her daughter, Jennifer Adamson, preceded her in death on May 20, 2000. Survivors include her parents Rene and Larry Zimmerman of Missoula; brother Paul and his wife Kristina; nephews Michael, James and John of Salt Lake City; sisters Kate Zimmerman of San Francisco and Eileen and her husband Tom; and niece Amanda of Bainbridge Island, Wash., and Janet Zimmerman of Albany, Calif.
Mass of Christian Burial will be celebrated Monday, Oct. 23, at 10 a.m. at Christ the King Catholic Church, 1400 Gerald, with the Rev. Jim Hogan as celebrant. A reception will follow at the church. Private interment will take place at a later date. The family suggests memorials be made to Christ the King Catholic Church or to a charity of the donor's choice. Arrangements are under the care of Garden City Funeral Home. Thanks to Rose Westwood Merrick. Click here to see Adeena's last Profile entry.